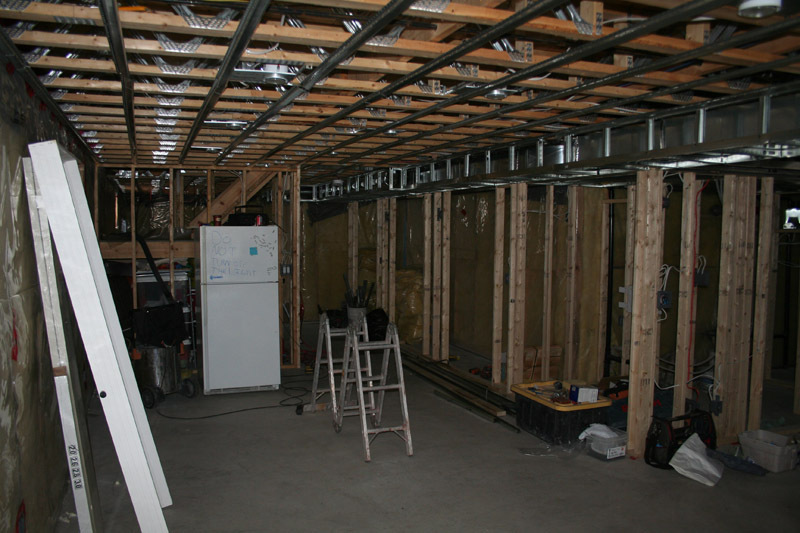 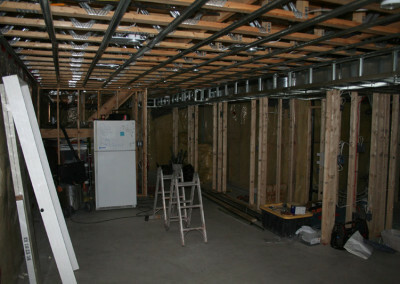 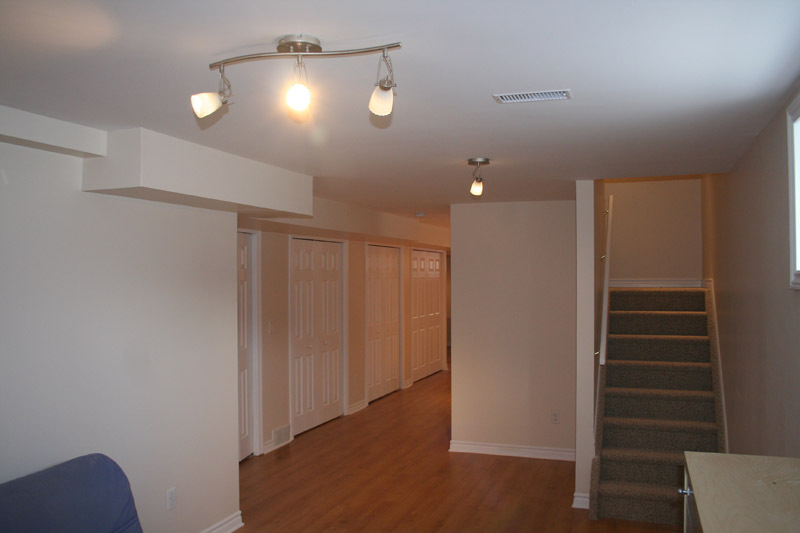 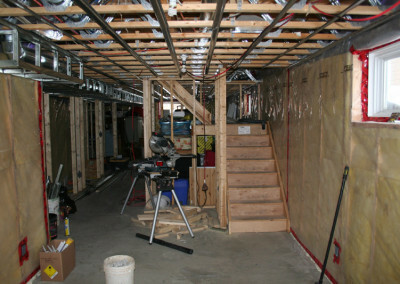 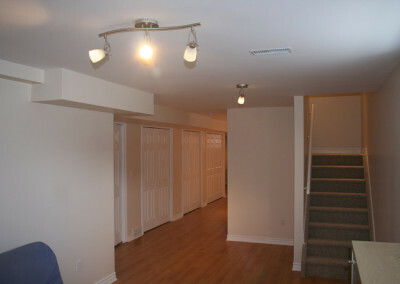 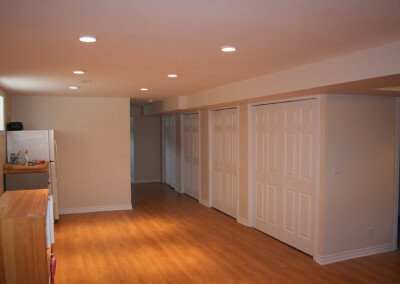 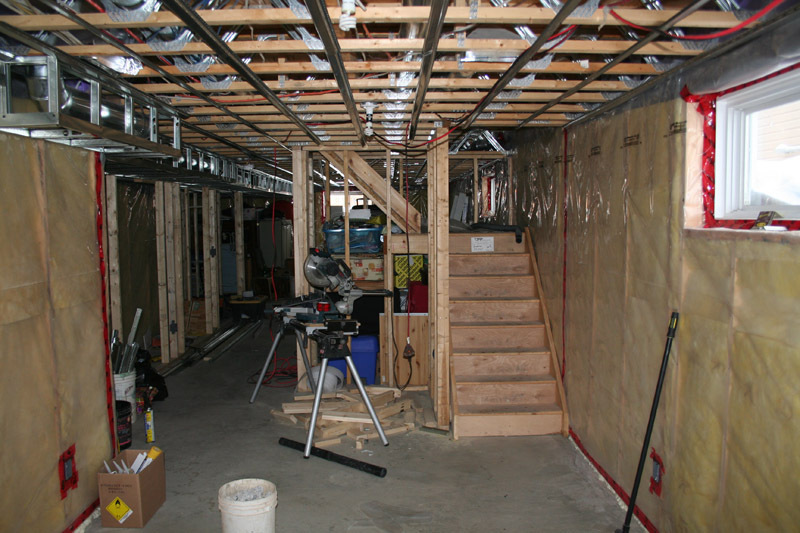 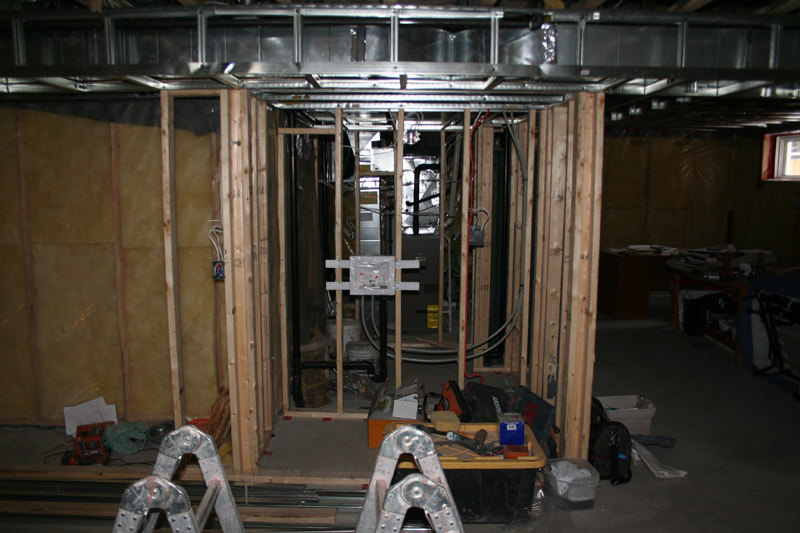 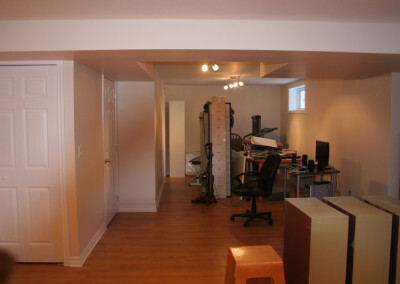 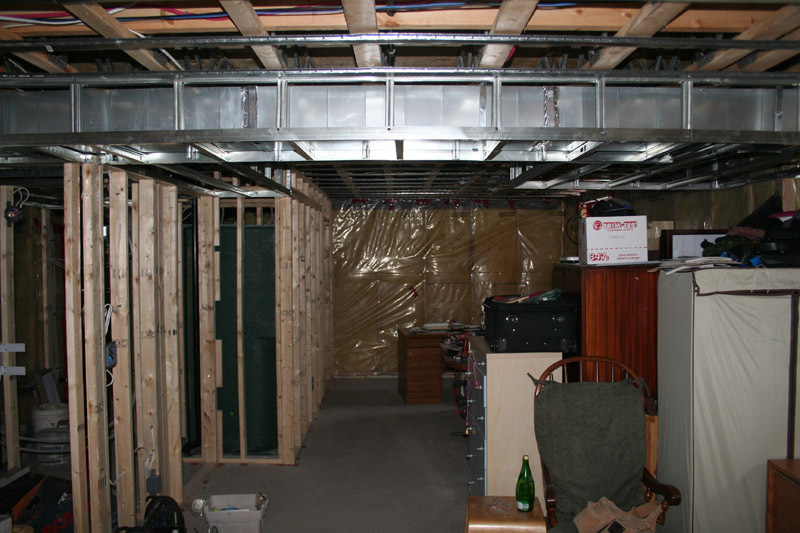 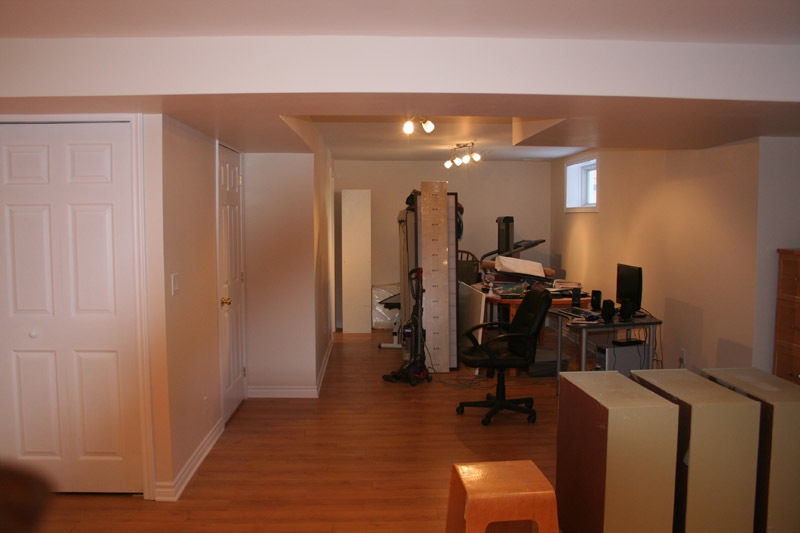 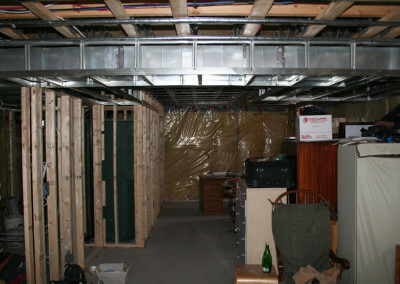 This project involved the transformation of an unfinished basement into a usable space. 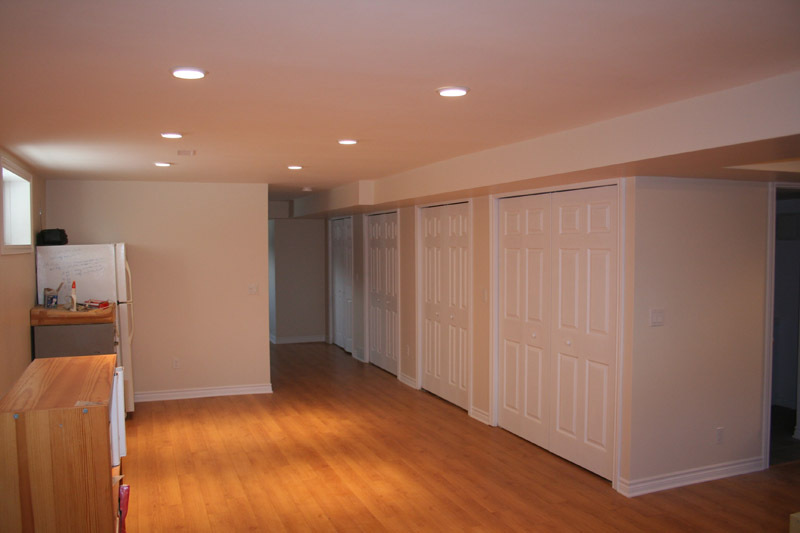 We created a warm and open feel with good lighting and bright colors. 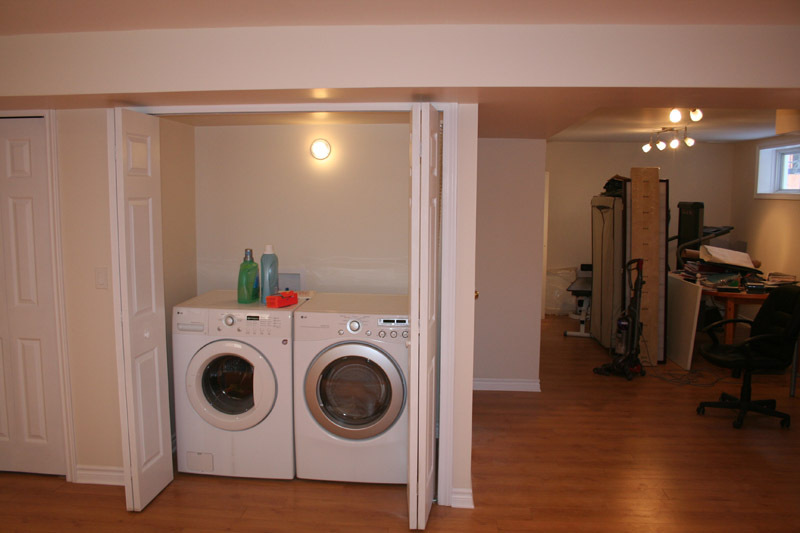 To create a neat appearance we installed the laundry in line with all the other storage areas. 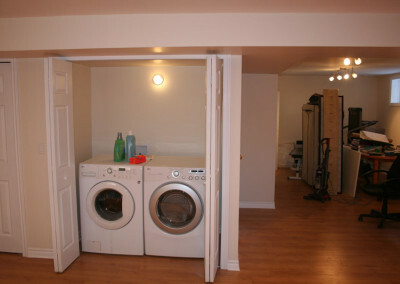 By doing so, the laundry room is functional and, by closing the doors, is out of site. 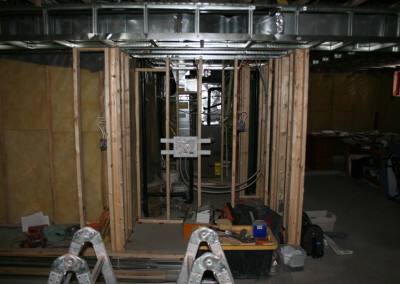 We also installed a small bathroom to improve the functionality of the house and add value to the property.